This is a picture of a Bonsai Tree which was taken at the Glasgow Garden and Flower Festival. In Japanese, bonsai can be literally translated as 'tray planting' but since originating in Asia, so many centuries ago - it has developed into a whole new form. There is a delicate skill in growing the trees for example it is not enough just to plant a tree in a pot and allow nature to take its course - the result would look nothing like a tree and would in most probability die very quickly. 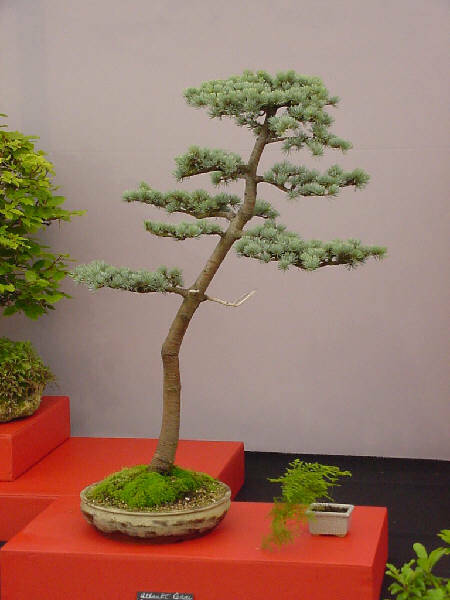 Every branch and twig of a bonsai is shaped or "snipped" until the chosen image/ shape or design is achieved.